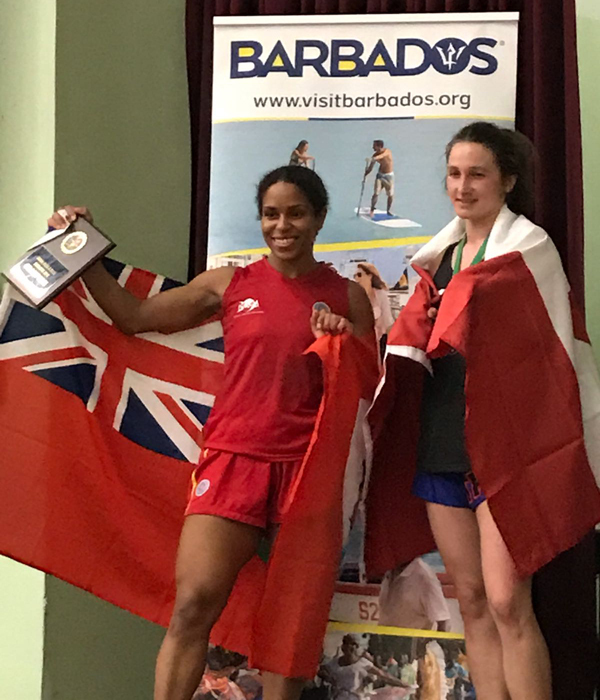 Members of the Bermuda San Da Team competed in Barbados during the Sandra Kicks And Licks Tournament, making an impressive showing to claim a number of wins. Krista Dyer defeated Sara Buczek in three rounds to win the female 65kg title. Dyer avenged her loss from one year ago with Buczek. She won the first round; the second round was scored dead even, before Dyer won the tightly contested third round for the win. 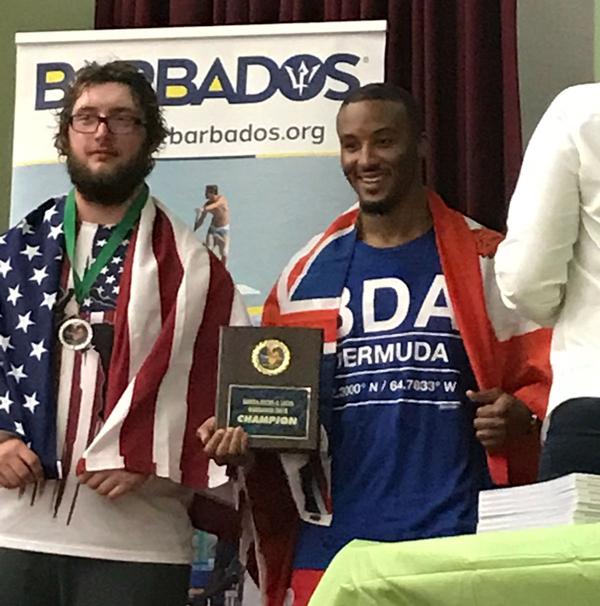 Reyel Bowen won the +90kg weight division in a round-robin with Emmerson Hurley of Barbados and Dustin Knight of the United States. Hurley faced Knight in the first round robin match before retiring in the third round. Bowen was due to face Hurley in the second round robin match, however Hurley withdrew from the match. Bowen faced Knight in the last round robin match and finished with a takedown in the second round for the KO win. Johneiro Outerbridge scored a first round knockout against Dario Waithe to take the 80kg kickboxing title. Nathaniel Thomas won the 8 and 9 year old boys category with three consecutive wins in the heavily contested category. Quennel Robinson won silver in the male 75kg category and Dean Jones took the bronze. Antoine Fox secured a silver in the male 80kg category. Sanda Panda Sebastian Davis placed fourth after winning his quarterfinal match, but did not progress beyond the semi-final. Shaela Bailey also placed fourth in the 9-12 girls category. Sanda Pandas Alessandro Davis, Matai Phipps, and Phoenix Palacio went down in the quarterfinals.